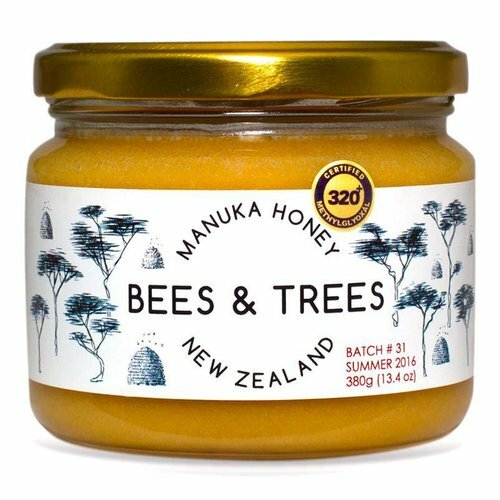 Bees & Trees Manuka Honey 500+ MGO, 13.4oz. This is the current "high-activity" batch release. We are now shipping from Batch 10, Summer 2016 harvest. This batch has tested to be a very active 520+ Methylglyoxal (MG), which equates to approximately 15 on the UMF bio-active scale. 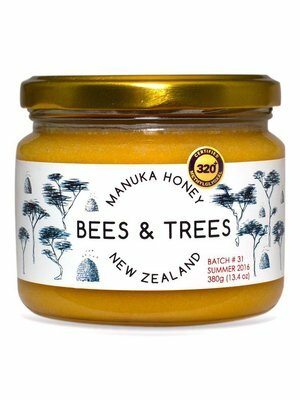 Bees & Trees Manuka Honey 320+ MGO, 13.4oz. 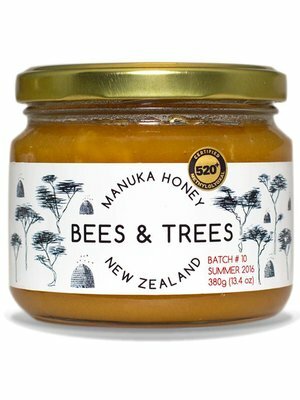 This is a "medium-activity" honey from the first release of our 2016 harvest. This batch has tested at a 320+ level of dietary Methylglyoxal (MG), which equates approximately to an 11 on the UMF bio-active scale. 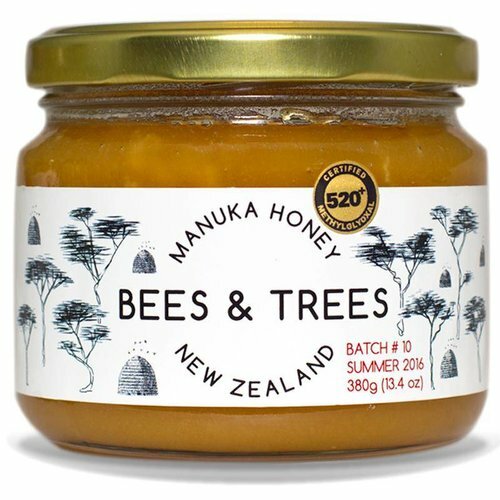 This honey is a great value!